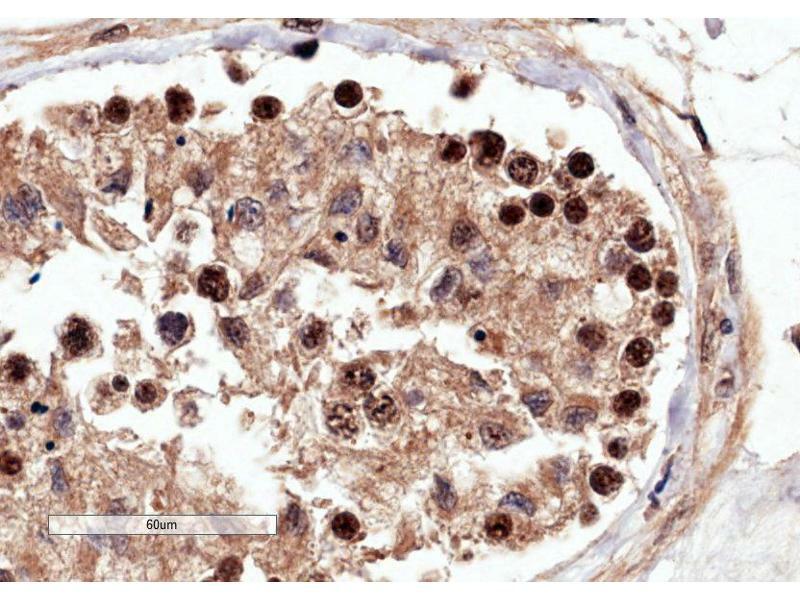 ABIN2564849 (4µg/ml) staining of paraffin embedded Human Testis. 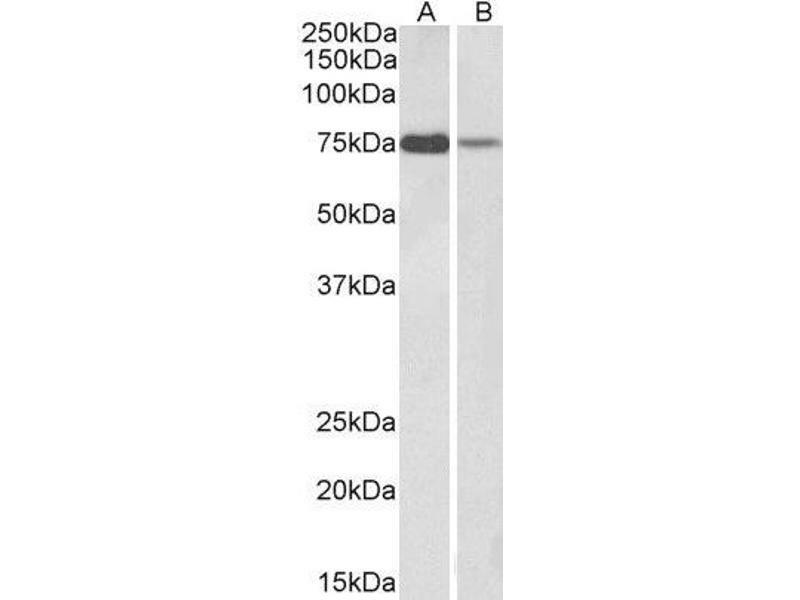 Microwaved antigen retrieval with Tris/EDTA buffer pH9, HRP-staining. 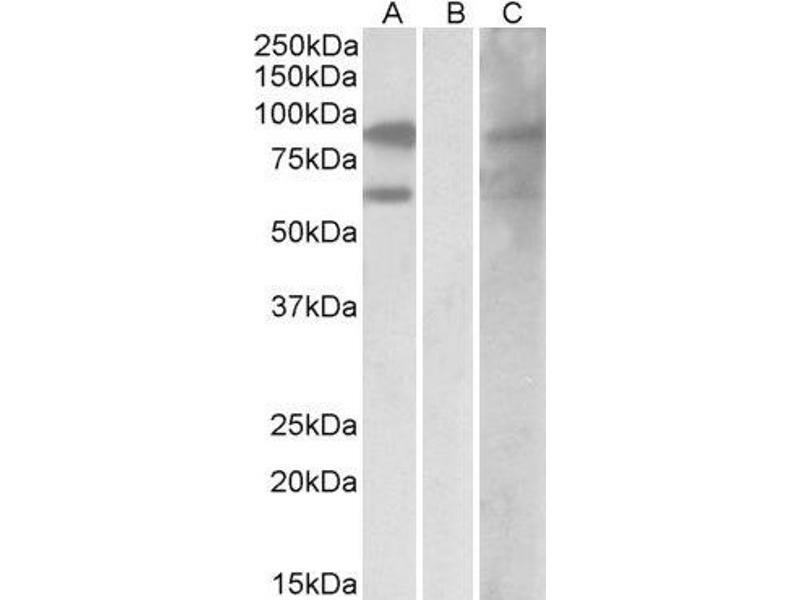 ABIN2564849 (1µg/ml) staining of K562 (A) and Jurkat (B) lysate (35µg protein in RIPA buffer). Primary incubation was 1 hour. Detected by chemiluminescence. 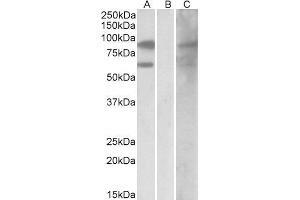 HEK293 lysate (10ug protein in RIPA buffer) overexpressing Human RACGAP1 with DYKDDDDK tag probed with ABIN2564849 (0.5ug/ml) in Lane A and probed with anti- DYKDDDDK Tag (1/500) in lane C. Mock-transfected HEK293 probed with ABIN2564849 (1mg/ml) in Lane B. Primary incubations were for 1 hour. Detected by chemiluminescence.